…and we have time for one last caller. Good afternoon, Caller. Do you have a question for me, the All-Knowing Running Expert? Question Asker: I am an awesome runner but I want to take it to another level and be more awesome. What can I do? 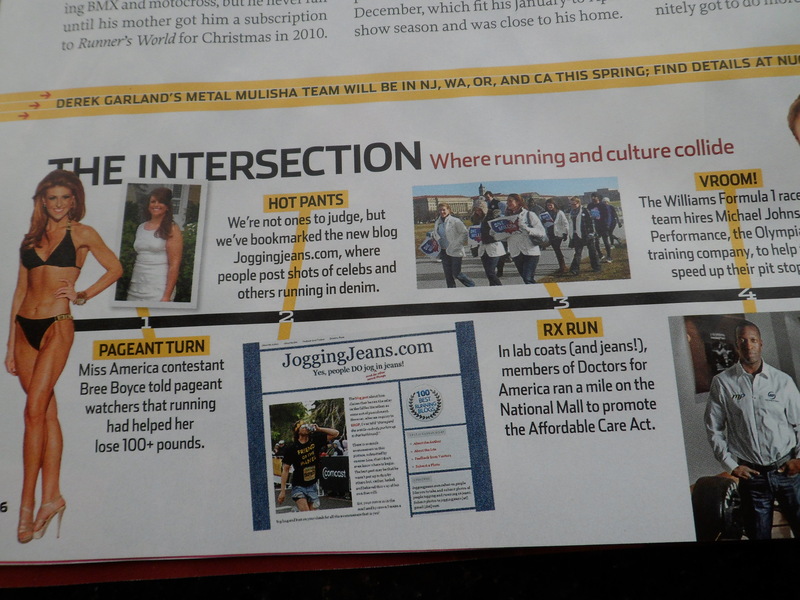 Me: Consider running a half marathon in full length jeans and Chuck Taylors. Question Asker: Um…I don’t know. It seems like that would slow me down. Me: Wrong. A guy at the Alpine Classic Half on May 25th did it and his awesomeness level is off the charts. The power of denim helped him rock a second place overall finish. And if you, Dear Readers, question my running credentials, Runner’s World’s Mark Remy says that you CAN run in Converse Chuck Taylor All-Stars. See for yourself.